Find us at the annual street fair in Bungay outside Castle Inn on Earsham Street. We have a good range of Christmas Preserves including our award winning Date & Chestnut Ale Chutney and a Spiced Redcurrant & Crabapple Jelly. Tasters available. We were delighted to learn this week that we have won a 1 Star Gold Award from the Great Taste Awards for Date & Chestnut Ale Chutney. 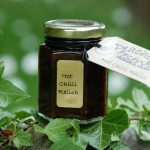 This lovely sticky date chutney is made with Chestnut Ale from Grain Brewery and has ginger and chilli to spice it up a little. 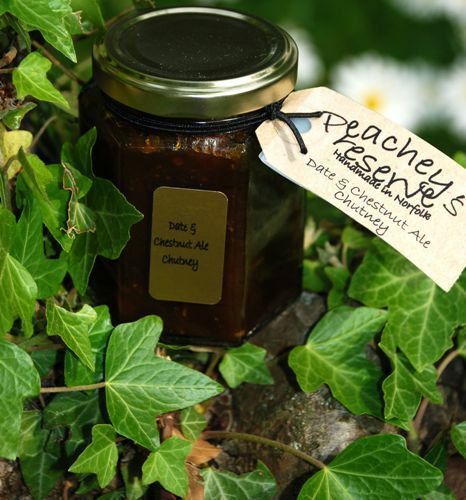 A great chutney for Christmas. The Great Taste Awards is the world’s largest and most rigorous food awards scheme involving over 400 judges and thousands of hours of blind tasting. Established in 1994, it encourages and mentors artisan food producers, offering a unique benchmarking and product evaluation service leading to an independent accreditation that enables small food and drink businesses to compete against supermarket premium own label brands. 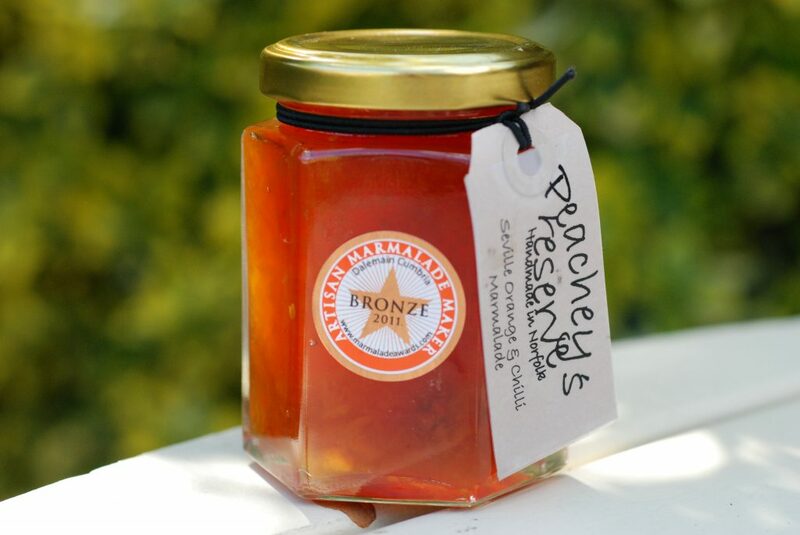 Janet said, “This is the second year I have entered the competition, so I am delighted to win another gold star after last year’s win for Headcracker Chutney. I’m also pleased for Grain Brewery based next door to me at Alburgh, who supply the Chestnut Ale and for whom I make the Chutney. Come along to the Rural Life Museum at Gressenhall near Dereham on Sunday and watch my demonstration on how to make jam in Cherry Tree Cottage. There will also be preserves for sale and free tastings of product. Join us at Suffolk Wildlife Trust’s annual plant sale from 10am to 4pm on Sunday 14th April. Over 20 award winning and specialist nurseries, plus second hand tools, mulch, traditional wooden rakes, homemade fudge, our preserves and The Flying Chef Hot Dogs. Free parking, Adults £1.50, Children free.